In what’s becoming a hard habit to bust, Nebraska (17-22, 4-9 Big Ten) fell behind early and never recovered, losing 12-9 to Creighton (24-11, 3-5 Big East) for the first time in Lincoln since 2010. The 10th loss in the last 13 games, Nebraska gave up a leadoff double to begin the game, two runs in the first, a run each in the third and fourth and then a six-run fifth. Starter Nate Fisher, now 1-5 on the year, went just four innings with nine earned on 10 hits and three strikeouts. Asked if head coach Darin Erstad needed Fisher to just eat innings to get through until a weekend series with Nevada, Erstad said he just wanted a good performance. Seven-of-nine Creighton batters found success at the plate as the Jays smacked two home runs. Nebraska had a chance in the bottom of the sixth to load the bases with no outs, down four but left fielder Mojo Hagge hit into a double play. First baseman Scott Schreiber homered on the next at-bat but the damage was only two instead of four. The Huskers felt that. Erstad called Schreiber — who cranked his 14th home run of the season — a “special player doing special things,” but said his team just got “handled” early and couldn’t recover. That’s become a habit; one that has led others to question Erstad’s job security (one year removed from winning the conference). Athletic director Bill Moos was asked Tuesday about his baseball coach and a reporter asked Erstad about Moos’ endorsement after the game. Instead, he’s trying to focus on fixing the sluggish opens. Erstad mixed up the lineup for tonight’s game, hoping to spark something. Schreiber batted leadoff (a spot he said he can’t even remember the last time he was in) and designated hitter Jesse Wilkening went second (a spot Wilkening hasn’t been in either). Both had strong individual outings but the team result wasn’t there. 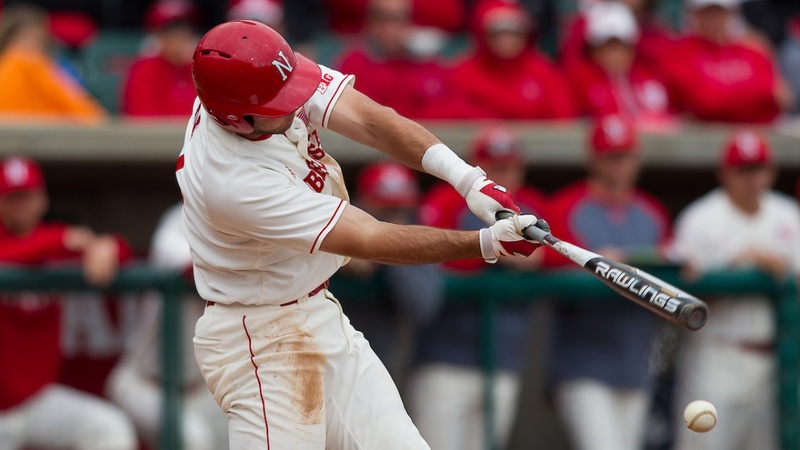 Nebraska begins a non-conference weekend series with Nevada on Thursday at 6:35 p.m., hoping to get back on track.